Welcome and thanks for visiting Sweeney Legal, LLC, the corporate entity for John Sweeney’s law practice. 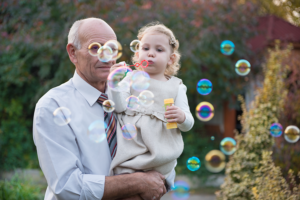 In the world of real people and complex personal and legal issues, John helps you solve your problems in Elder, Wills, Estates, Trusts, Special Needs, Business, & Tax Law law in Fairfield County Connecticut and Westchester County New York. It’s really not about the law, the taxman or education, it is about you and how to resolve your issues in the best way possible. It is also about your family, your employees and your partners. John uses plain language and proposes practical solutions. He looks to blend the law with people. John is a lawyer who brings significant other skills to the table. He is also a competent accountant, knowledgeable tax adviser, insurance person, and an experienced businessman. John solves the special problems of Seniors and their families in a caring and compassionate manner, including Medicaid planning, crisis Medicaid solutions, wills, trusts, powers of attorney, advance health care directives, estate administration, conservator ships, guardian ships, and long-term-care. If you don’t have competent representation, you stand to lose your financial security or leave problems for your children. 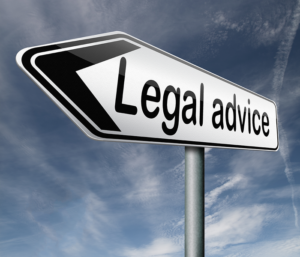 Whether you are in Stamford CT or Pound Ridge NY, John knows the local laws. He advises businesses in a holistic manner which incorporates his background as a businessman and accountant. He helps corporations, limited liability companies and partnerships. He enjoys helping entrepreneurs and businessmen. He addresses issues from from start-up to sale. In between, he addresses the operational issues. John helps businesses and individuals solve their most complex tax problems in a simple manner. John has over 20 years of helping individuals, corporations, partnerships and businesses resolve tax issues. He’s operated both domestically and internationally. John can help plan across the various taxes imposed; estate, gift, income, corporate, partnership, real estate, federal and state. 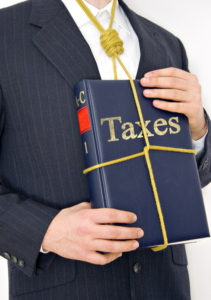 He can ensure your income tax, estate planning, and business interests all optimize taxes. State laws differ so if you are in Westport Connecticut or Somers New York you will have different and unique state tax issues. I get the question all the time….do you do house calls? The answer is, of course. I’m an elder lawyer and I go to wherever my clients need me. People need help and sometimes they can’t travel or it is too taxing. Sometimes, it is an emergency due to an illness or pending significant procedure. So, my work often takes me to people’s homes, hospitals, and nursing homes. I also often visit assisted living and independent living facilities. If you are not able to travel and you need an Elder Lawyer to advise you, represent you to your facility, execute a Will, execute a Health Care Proxy, change a Trust or execute a Power of Attorney, I can help. I can also do your Estate Planning or Medicare Planning. Of course, I’m a lawyer and I run a business, so I charge for my travel time, but I always make sure my clients are taken care of. I always try to be reasonable and fair. John solves problems in a manner as sophisticated as the big firms, at the cost the rest of us can afford. We would like to hear from you, so please contact us by phone or e-mail with questions, comments or to schedule an appointment. Seniors can lose their financial security or control of the process if they are not well represented before the crisis hits. For those Breaking Bad Fans out there…don’t call Saul…Call John.